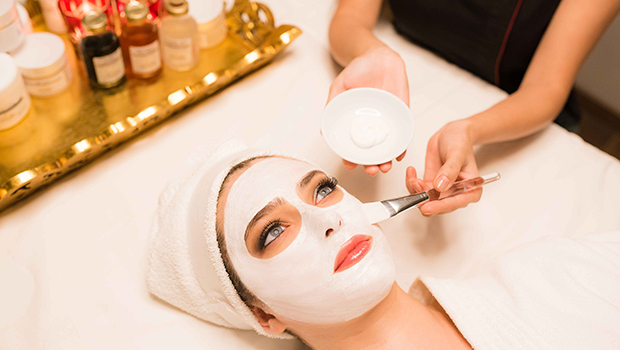 The BR Facial includes a specific cleansing step, a lifting and firming massage with active ingredients to help remodel the skin, a peel with active ingredients to deeply exfoliate, A double mask including the algae cold mask, cold cryo stick massage, layers of potent serums & creams are applied and finished with the RED CARPET SERUM FLUID VIP02. This leaves skin moisturized, protected and gives glowing complexion. Thick , dull, devitalized skin. Ideal for skin with uneven pigmentation.